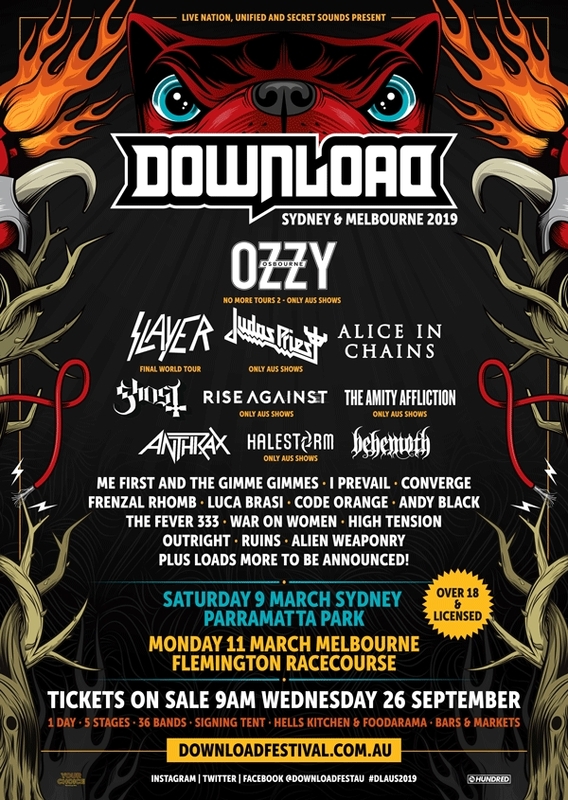 OZZY OSBOURNE, SLAYER, JUDAS PRIEST, ALICE IN CHAINS and GHOST are among the confirmed bands for the 2019 installment of Australia's Download festival, set tot take place in Sydney and Melbourne next March. Download 2019 will be a two-date, five-stage affair, hitting Sydney's Parramatta Park on Saturday, March 9 and Melbourne's Flemington Racecourse on Monday, March 11. Download debuted in Melbourne earlier this year in front of 30,000 fans, and organizers have previously suggested there are plans to eventually expand it into a "nationally touring event." "Let me put this straight. It's not the end of me coming to Australia — I call myself an Aussie 'cause I'm Ozzy. You are my people," he said. "I am just not going to leave my house in January and come back in December." "I love my work, it's amazing, but my grandkids don't recognize me, Jack's three little girls," he said. "They are wonderful, except when they come over to the house, wreck it and leave." 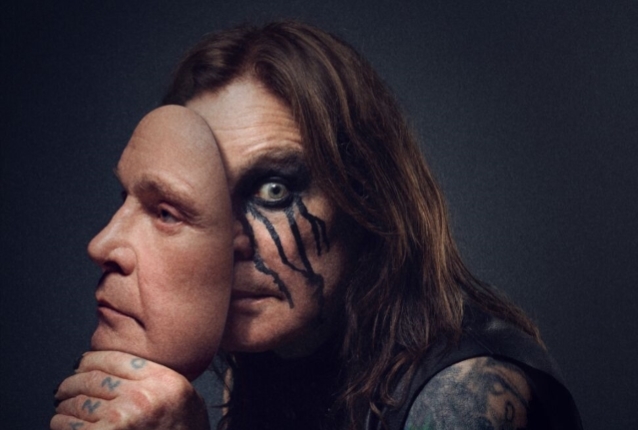 Speaking to Fairfax Media from New York this week, Osbourne said he's "having more fun on this tour" than he has "in years." He added: "It's going better than I ever expected... great shows, the band are playing great. Zakk [Wylde] is playing so good, his guitar playing is mind-boggling. He's so fast it's scary." "I get asked sometimes why people still come and see us, but I don't know; I don't even want to know," he continued. "I'm just a lucky guy and the thing about music is it's got no age limit. If you're good, you're good and if you're having fun, have fun."